Staybridge Suites. See our badge holders page. We produce magnetic name badges, conference name badges and numerous sign styles for our customers. 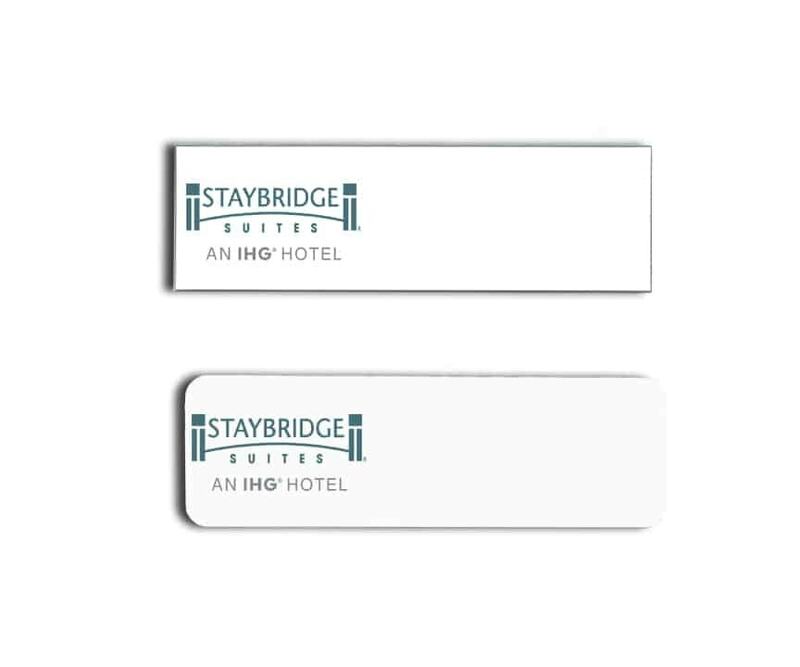 These are samples of logo name badges we’ve done for Staybridge Suites. All colors and styles are available. White plastic pictured.